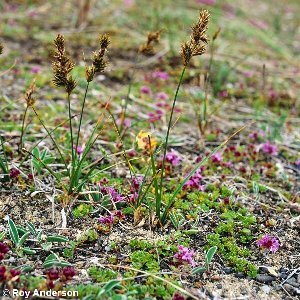 A species which is characteristic of sand dunes all around Northern Ireland. Mostly occurring in fixed or semi-fixed dunes. 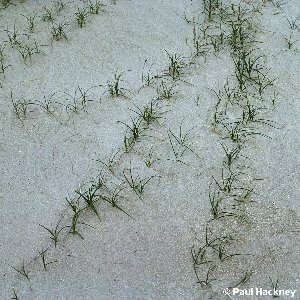 Aerial shoots grow up to about 10 inches in height, and they arise from a horizontal rhizome which can spread over considerable distances below the sand surface, and which help bind loose sand. In "blow-outs" or "slacks" with bare sand the aerial shoots arise in dead straight rows, growing up from the horizontal rhizome which will grow perfectly straight unless it encounters obstacles.